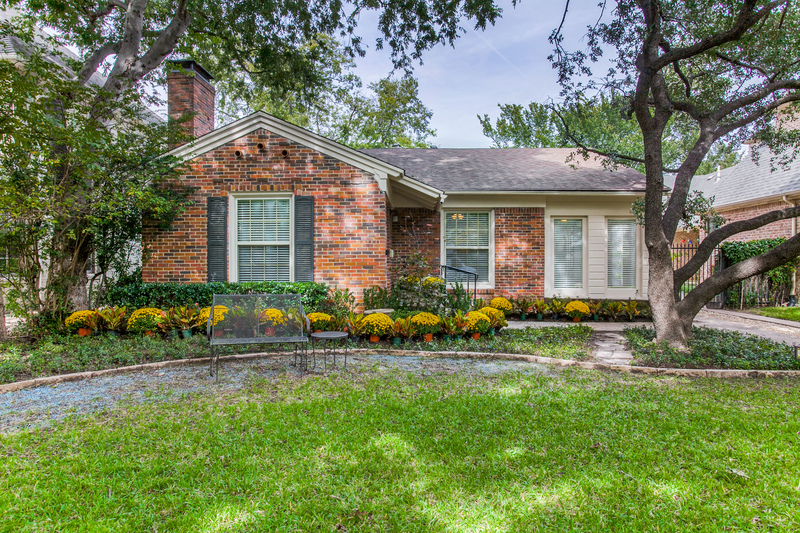 Situated in prestigious University Park conveniently near Highland Park Highland Schooland shopping areas including Inwood Pavillion, Inwood Village, Snider Plaza and Preston Center, 4404 Hyer Street is a wonderful one-story traditional ranch-style brick residence offered for lease and has great drive-up appeal. Featuring expansive rooms and handsome hardwood floors, the charming home showcases an oversized living room with a slate and brick covered fireplace, with a wood carved mantle, gas logs and a gas starter, spacious dining room, and a large granite kitchen boasting a honed marble backsplash, travertine floors, stainless and black appliances, including an electric cooktop, double oven, built-in microwave and a refrigerator with freezer, a pantry closet as well as a utility closet, which provides room for a full-size washer and dryer. Served by an adjacent elegant granite and ceramic tile bath, the oversized master suite has large closets and French doors opening to a light-filled sun room with abundant bookcases. Two additional bedrooms are generous-sized and are appointed with large closets and are served by an elegant ceramic tile bath. Outside, a covered flagstone patio is perfect for entertaining and overlooks lush landscaped grounds. Parking for two cars is located on the front driveway before the iron gate, and a two-car detached garage is for storage purposes only.